In May, the ophthalmology faculty at the Veterinary Teaching Hospital provided free, ocular screening eye exams to qualified service and working animals as part of the National Service Animal Eye Exam Event, promoted by the American College of Veterinary Ophthalmologists and sponsored by Stokes Pharmacy. Board-certified veterinary ophthalmologists across the U.S., Canada, and Puerto Rico provided more than 7,500 free eye exams to guide, handicapped assistance, military and drug detection dogs, search and rescue animals, among others. The event has been held 11 times, and over 60,000 animals have benefited. Be sure to alert your relevant clients to this opportunity next year. Registration occurs via the national website in April, and the exams take place in May. It is important to emphasize that, whether or not your patient is a service or therapy animal, an annual eye exam is recommended. This is particularly true for breeding dogs and puppies that may be used as a future sire or dam. 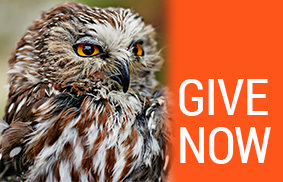 For these animals, a specific program is in place, the OFA Companion Animal Eye Registry (CAER). 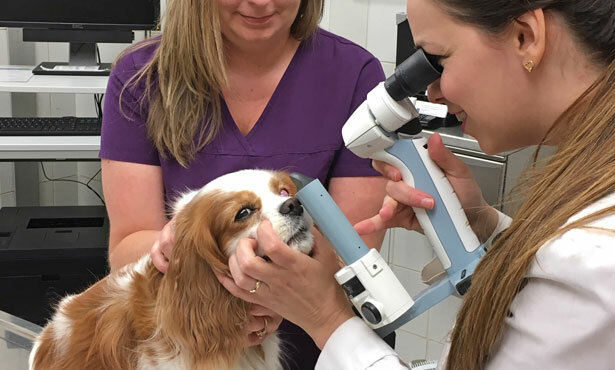 The OFA-CAER exams are performed by a board-certified ophthalmologists to screen for any ophthalmic alteration that could be inherited, so that breeders can make an informed decision about breeding their dogs. Owners may submit their completed CAER exam to OFA to obtain a certificate (either of “free of ocular diseases” or naming the abnormalities observed, in case those are listed as “breeder option”). In general, alterations such as cataracts, glaucoma, dry eye, and retinal degeneration do not pass the exam, and those dogs do not get a certificate. There is a fee associated with CAER exams, but it is a reduced cost compared to a traditional ophthalmic exam as diagnostic testing is not performed. For more information, please do not hesitate to contact the University of Illinois Ophthalmology Service either by phone at 217-333-5374 or via our consult email: vet-eyes@illinois.edu.